The personnel at all our locations are certified professional Massage Therapists who are specially trained in Chinese Acupressure and "Oi Gong"Medical Massage. 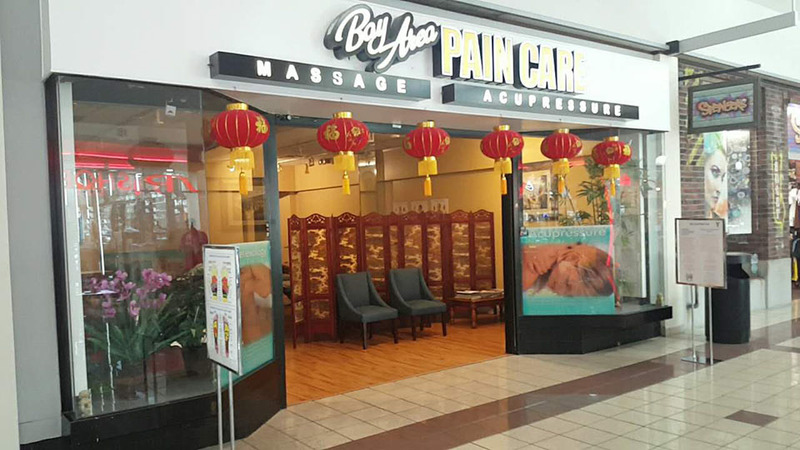 Began in 1997,Bay Area Pain Care serves the pain relief and relaxation needs of clients of northern California with 4 convenient locations, two of which are located within popular shopping malls. A fifth location provides healthful comfort to those in the Minneapolis-St. Paul area And new Mexico area. Albuquerque city . Cottonwood mall Suite D203 . Acupressure massage assists Your body's normal healing process. Acupressure el Curativo Mormal de su cuerpo proceso. 7)- Dolor del nervio ciatico. 10)- Dolor en el talon.